The Southeast is known for its die-hard college football fans and what do they love almost as much as some good old-fashioned pigskin? Ice cold beer, of course. 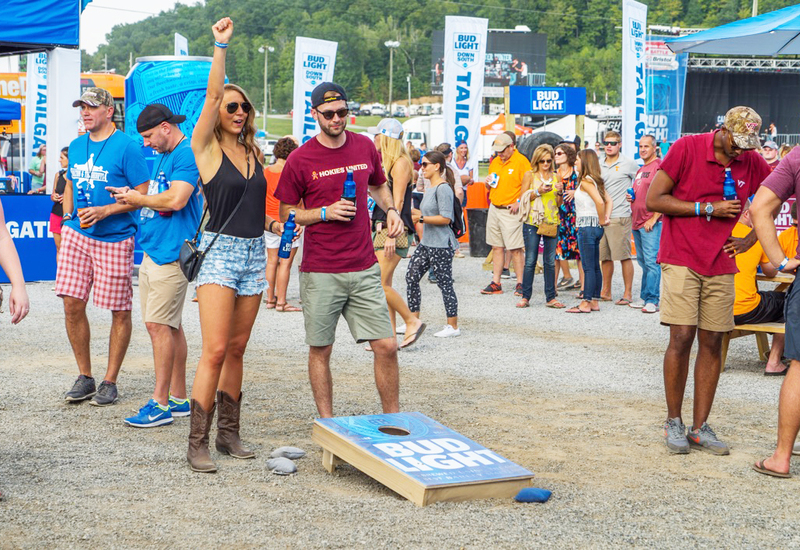 To capitalize on this rabid fan base, Bud Light activated the 10-stop Down South Tailgate Tour, which kicked off at the 150,000-attendee Battle at Bristol in September, and wraps in Georgia Dec. 3. 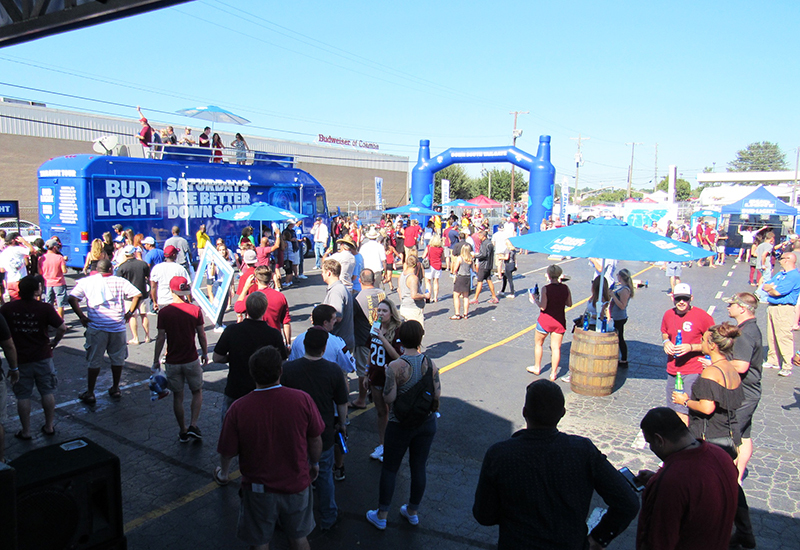 Bud Light is all about establishing itself as “the biggest fan of the fans,” so to cater to football fanatics, the brand focused on four fundamental pillars of tailgating: the bar, games, spirit and food. The pillars were brought to life at each tour stop, providing multiple opportunities for consumer engagement, from hot musical acts to local cuisine. The first pillar came to life in the form of a 40-foot by 40-foot mobile sports bar featuring southern décor, leather seats and school colors that coincided with each market. Climate control and flat screen TVs kept attendees chillin’ as they got up to speed with other games taking place across the country. The tour’s on-site games included traditional tailgate favorites like corn hole, while a football toss offered fans the chance to earn prizes. A massive LED screen within the space showcased a leaderboard from the football toss, branded content and a compilation of social media posts that mentioned the activation or overall tour. The spirit pillar focused on getting fans amped up for the main event through a variety of country music performances, alumni appearances and contests, all anchored by a 53-foot double-wide trailer that converted into a stage. Programming changed at every tour stop, offering fans in each market unique dj sets, musical acts and fan engagements. And what would a tailgate event be without some mouth-watering eats? Bud Light put a spin on traditional tailgate fare by partnering with local food trucks or quick-serve vendors in each market to maintain the event’s authenticity. As an added bonus, some locations offered bites at a discount. 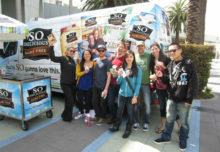 Additional tour touchpoints included custom football content provided in partnership with Saturday Down South and a 40-foot motor coach for wholesalers and other VIPs that offered brews, comfortable seating, air conditioning and a rooftop deck. 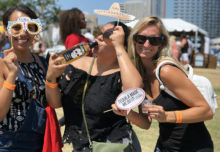 “[The tour] is a great opportunity for us to engage with our fans and our consumers,” says Colleen Kelly, director-trade and regional marketing at Anheuser-Busch. “We want to make sure we’re on-site to participate in this ritual for the college football fans and make sure Bud Light becomes synonymous with that college football tailgate experience because it’s such a passion point of our consumers… We bring them some really unique, once-in-a-lifetime experiences.” Agency: Engine Shop, New York City. The four fundamental pillars of tailgating—the bar, games, spirit and food—were brought to life at each tour stop, providing multiple opportunities for consumer engagement, from hot musical acts to local fare.